Each year, we offer 4-7 day intensives which consist of lectures, workshops, guest speakers and field trips. A typical day at an intensive begins around 9 AM and lasts until about 7 or 8 PM (they’re intense!). Lectures and workshops meet during the day while guest speakers and community events happen at night. Food arrangements vary from program to program, we often cook meals together and collaborate to find affordable, local food options. Intensive participants come from many backgrounds – from university students to activists to full-time workers. We are committed to making our programs financially, physically, and culturally accessible. Scholarships and funding prioritize students of color and individuals from other historically marginalized communities and identities. Our next intensive will be held June 15 in Vancouver, B.C. at the University of British Colombia farm. Full info here. ISE intensives are more than the sum of their parts. We emphasize movement from theory to praxis, collaborating with participants to address the social issues which impact their work, studies, and everyday lives. Within this framework, we offer a “core” set of themes, including climate justice, radical democracy, and alternatives to capitalism.In the past, we have hosted speakers from organizations such as Organization for a Free Society, Picture the Homeless, West Harlem Environmental Action (WEACT), Perennial Solutions and the Tar Sands Blockade. ISE Seminars do not offer academic credit. In early January 2014 participants gathered in Denton, Texas for the first ever week-long intensive in the South. This intensive was focused primarily on Climate Justice in response to a recent flurry of fossil fuel resistance organizing that had surged across the Lone Star State. Participating organizations included Frack Free Denton working to ban and hydraulic fracturing and Tar Sands Blockade working to stop tar sands pipelines. 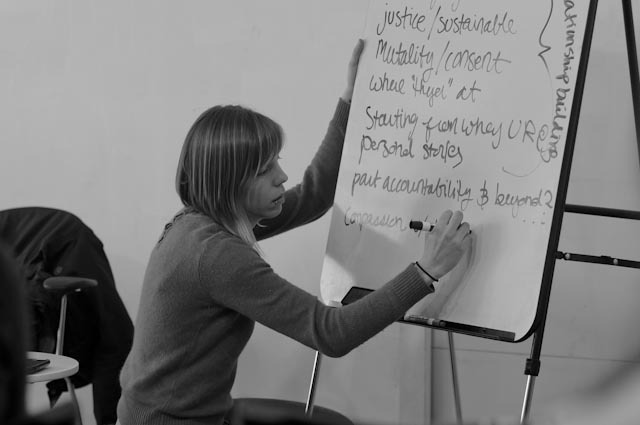 The intensive included courses on Climate Justice, Direct Democracy, Moral Economy, and Solidarity Organizing. Later that year, many of the participating organizers played key roles in successfully banning fracking in Denton. 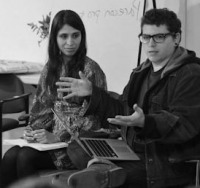 Drawing immense inspiration from the Occupy Movement, the ISE hosted two seminars on Directly Democratic Social Change in partnership with the Brecht Forum. These Intensives took place in New York City, from January 7 – 15 and March 11- 15. Instructors focused on providing tools to deepen student’s analysis, historical knowledge, and strategic visions for fundamental social transformation. Courses included topics such as Climate Justice, Direct Democracy & Dual Power, Rethinking the Left, and Liberating Land for Community Control. Central to our discussions were questions of strategic movement building, solidarity & accountability, and the unique potentialities and challenges presented to the Occupy Movement. 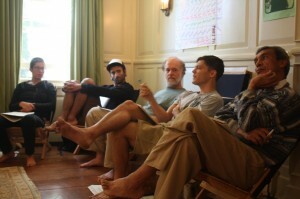 The 2011 ISE Intensive was held from August 9 -17th in the Hudson River Valley region. Students enjoyed marvelous summer sunshine and ate delicious farm fresh foods in between classes on Alternatives to Capitalism and the Politics & Philosophy of Social Ecology. Several special presentations highlighted the 2011 seminar, spanning topics such as the history of revolutionary art in Mexico, left-libertarian political movements in Venezuela, and grassroots resistance organizing against hydraulic fracturing in North Dakota. 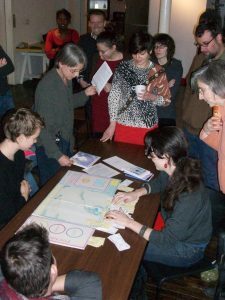 In January 2010 the Institute for Social Ecology held an 8-day intensive introduction to the philosophy and politics of Social Ecology in New York City. This 8-day intensive offered students an introduction to the dialectical philosophy and politics of Social Ecology. Using the lens of Social Ecology, students participated in four topical seminars focused on climate justice; alternatives to capitalism; race; and the history of Social Ecology and radical movements. Students also participated in a practicum applying the principles of Social Ecology to their own actual (or imagined) activist campaigns.